This statement always amazes me. Can you imagine if a parent applied this mentality to school, or the dentist, or the doctor? Why do we fall back on this sort of thinking when it comes to the most important part of parenting? I believe the statement reveals a menagerie of situations: One may be that of a parent who was made to go to church, as a child, for no other reason than it was what we were supposed to do on Sundays. We now have a generation of parents who have “given up on the organized religion scene,” and rightly so. “Just do it because I say so,” really doesn’t hold up in this progressive twenty-first century society in which we live. The Hebrews were extremely successful at making religion an integral part of life. The reason for their success was that religious education was life-oriented, not information-oriented. They used the context of daily life to teach about God. The key to teaching your children to love God is stated simply and clearly in these verses. If you want your children to follow God, you must make God a part of your everyday life. You must teach your children to see God in all aspects of life, not just those that are church related. BINGO!! That statement, if implemented, makes ALL the difference in your child’s life. The lack of it has been the downfall of churches all across the world. Why would a child choose to go to church as an adult if he sees no value in it? Mom and Dad may have sat there enduring the hour for no apparent reason, but he will not! If he does not see a real relationship with Jesus Christ lived out at home in his parents, how or why would he develop a real relationship with Jesus Christ for himself? Dear Christian parent, there is NOTHING more crucial for your child’s success in life than this. It is more valuable than a career or any possession. It will aid him in life more than any amount of education or financial gain. Nothing will mold his character and his future as much as developing his personal walk with Jesus, the Friend of sinners; because nothing else will matter in a hundred years except his relationship with Jesus Christ, and you hold the key! 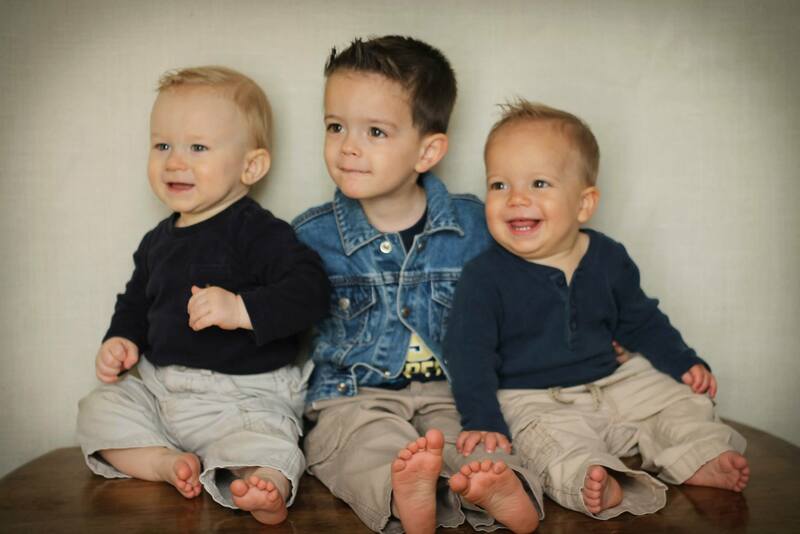 PS Yes, these are our three wonderful grandsons, and I’m so thankful for the godly parenting they are receiving. There truly is no greater joy! !